Unfortunately we weren’t feeling particularly well so the next day we took a “Sunday” and decided not to do alot. However, Salta’s charms were obvious – gorgeous colonial architecture, incredibly friendly people (it’s not everyday a lady stops you on the street and tells you you’re beautiful!) and a thriving cultural scene. The next day we were off to Cafayate (the highest altitude vineyard region in the world) but we vowed that on the way back we’d take a couple more days to mooch around Salta and enjoy all it had to offer. 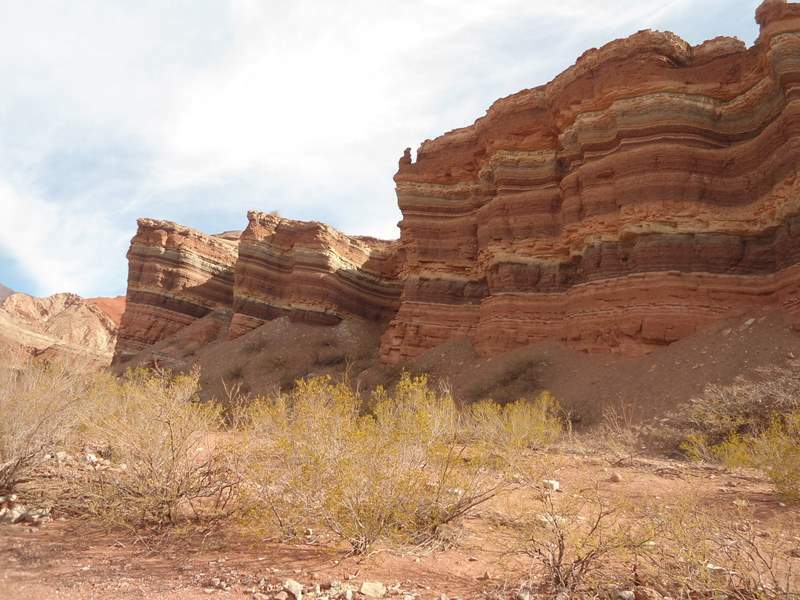 Surrounding Cafayate is the area of Quebrada de Cafayate, some of the most dramatic scenery we have encountered. So one afternoon off we set to explore the area. Just a 5 minute drive outside of town and you are accosted with huge changes, from vineyards to forest, to desert and then suddenly to the quebrada (which means a small valley, usually with a river at the bottom). This valley receives little rain that it is a haven for cacti and stunning wind-eroded rock formations as well as incredible geological marvels where red, green and yellow rock strata can be seen in front of multi-coloured mountains. A rock eroded into the shape of a toad, an enormous natural amphitheatre (where apparently one of the Gallagher brothers has performed) and the Devil’s Throat (an eerie cavernous splitting of the rocks that in Calchaqui tradition should not be entered as you will meet the devil). Having spent so much time in Patagonia we really didn’t think that the landscapes would be able to be beaten, but I have to say, this region certainly gives it a run for its money. 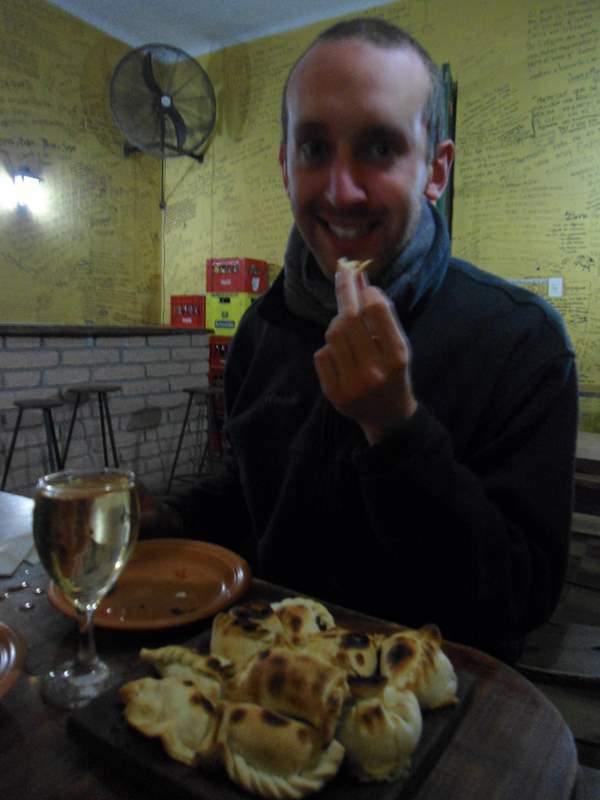 After eating our fill of empanadas (a dozen a day – I hope – keeps the doctor away?!) 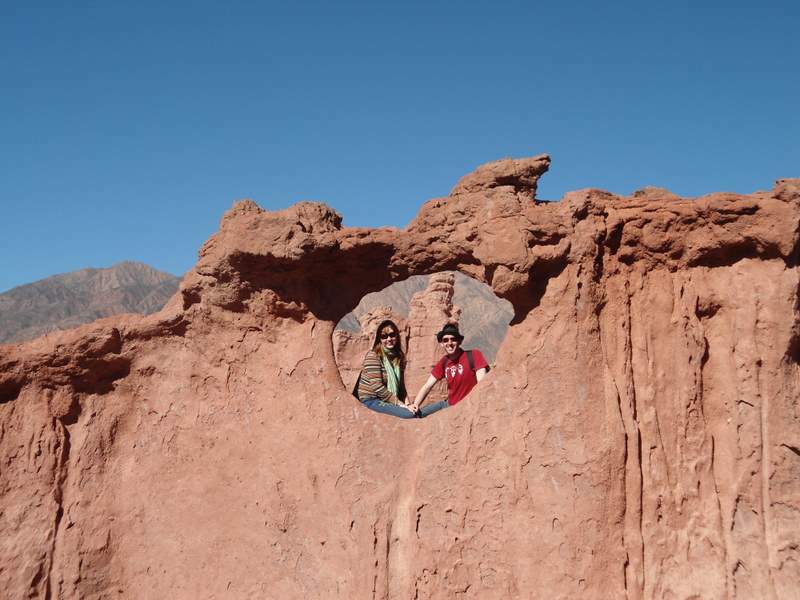 and downing enough high-altitude wine (even in the guise of a Torrentes & Malbec ice-cream) we reluctantly headed back to Salta for a couple of days seeing the sights we’d previously missed. This included the Museo de Alta Montana (the museum of High Mountain) in which are the best-preserved mummies in the world, 3 Inca children who were sacrificed to Pacha Mama (mother earth) at high altitude in the 16th century and because of the altitude and freezing conditions were perfectly preserved. Needless to say I was terrified and made James go first into each room to tell me exactly what was in there but it is definitely one of the most fascinating and emotional museums I’ve ever been to. The little children, with their hair still perfectly held in place, their sandals and clothes still in tact and the offerings that were with them perfectly preserved in all their multi-coloured glory are truly haunting but somehow rather peaceful too. After a couple of days in Salta, we found ourselves with only 2 weeks to go until our flight out of Santiago so decided it was probably time to get ourselves back to Chile. 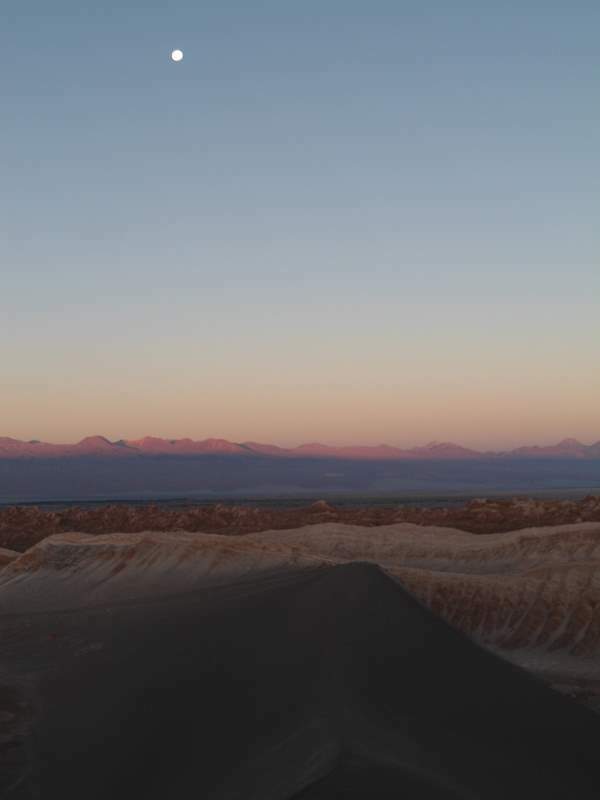 So we departed from Salta early one morning for the epic high altitude journey, again through breathtaking scenery, crossing more salt flats and going up to over 4000m to reach the small dusty tourist town of San Pedro de Atacama. It’s fair to say that initially we weren’t bowled over. The few streets were overrun with tourists – albeit of varying ages and nationalities – and the associated touts. However after a few days we relented a little and decided that there was still a little charm left in this isolated town, not just because of its cute plazas and gorgeous cactus wood church, but also because of the stunning surrounding (we rather enjoyed clambering around the desert, exploring the pre-Columbian ruins of Pukara de Quitor like a smaller and less well preserved Machu Picchu, running down sand-dunes and watching the sunset and moonrise over Valle de la Luna). So with just over a week before our flight and the start of our elongated journey home, we are making our way slowly and a little sadly towards Santiago with a few stops on the way. It’s going to be an emotional day when we finally say goodbye to this incredible continent. This entry was posted in Argentina, Chile. Bookmark the permalink.